The long weeks between Thanksgiving and winter break can be treacherous for college students. Take a break from studying, grab a few friends, and explore our beautiful city’s offerings of holiday events to get yourself into the Christmas Spirit, especially if you missed out on buying those Mistletoe Ball tickets! 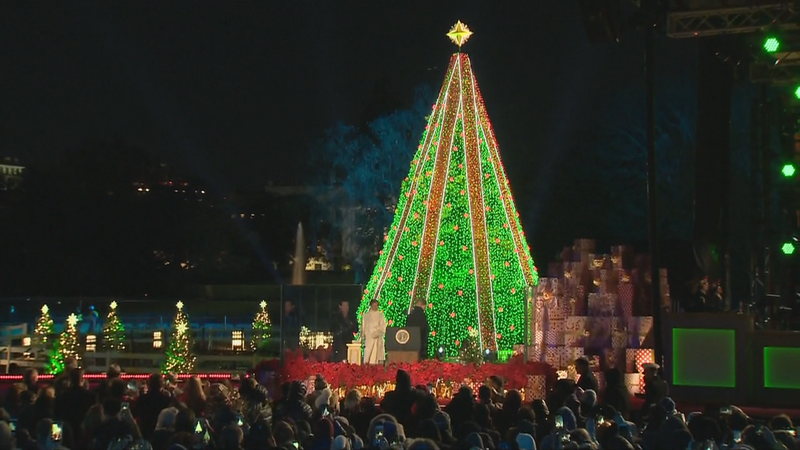 Grab your friends and head over to the White House to see this year’s National Christmas Tree. The tree has been a D.C. tradition since 1923 and was recently lit by President Donald Trump and First Lady Melania Trump. The tree is a prime location for festive photos and a great way to get into the Christmas spirit. Starting December 1, take a stroll through D.C.’s most historic neighborhood from 5-10 p.m. to see a display of lit up works of art from local and internationally known artists. NoMa’s Wunder Garten is hosting their “Winterfest” on weekends from November 30 through December 16. Winterfest will include a holiday pop-up market featuring local makers, entertainment, and visits from Santa! Each weekend at the beer garden will include unique events so be sure to check out their website to select your favorite event. On December 1 from 6-9 p.m., celebrate the holiday season at The Wharf to see festive boats pass by the waterfront. Decorate ornaments, cozy up by the fire pit, visit the lighted Christmas tree to celebrate this magical time of the year. Admission is free and there will be many activities throughout the Wharf during the boat parade. December 1st and 2nd brings home this year’s Winterfest to Nationals Park for the holidays. The event will include indoor and outdoor programs for families and fans. Nationals players, coaches, and team personnel will all attend the festival for live batting cages, Q&A sessions, interactive games, holiday-themed activities, and more! Tickets are available online and proceeds go towards the Washington Nationals Dream Foundation. The Warner Bros. Theater at the National Museum of National History is hosting their Holiday Film Festival on December 1 and 2. The festivals features classics like A Christmas Story and It’s a Wonderful Life and the beloved Elf. Tickets are $10 and can be bought online through Smithsonian Theaters. Shop for unique Christmas gifts at The 14th Annual Downtown Holiday Market on the F Street sidewalk. The shopping “village” will be open daily until Sunday, December 23 from noon to 8 p.m. Enjoy festive snacks while browsing the local market that features over 150 local artisans, crafters, and boutique businesses. If you have never made the trip Smithsonian National Zoo’s annual light show, be sure to check out the festive event held through January 1. Admission is free and open to the public, even during nights featuring special events. This year features new exhibits including a gingerbread village and an interactive light display. The U.S. Botanic Gardens will be hosting a train station-themed Christmas show. The event will showcase train stations across America including New York City’s Grand Central Station. The event will also feature a collection D.C. landmarks made from plant materials in the Garden Court, including a botanical version of D.C.’s Union Station. The display will be open through January 1 and is free to the public. This Friday, the House is hosting a night of intense competition! Form a team with eight friends and prepare for victory by winning the most challenges.